The AMF Sumo SE lives up to it's name with big hook potential and big power. Due to the F80 Solid coverstock's gripping power the best conditions for this ball are medium to heavy oil. Wow! I have the original AMF Sumo. The new AMF Sumo with the F80 Solid Cover Stock and Sumo Symmetric Core is able to adapt on multiple lane patterns. My ball layout is 65x5 1/8x45. For a low to mid rev player this ball reads the mid lane very well and does not over react down lane. I tested this ball on THS 41 Feet and PBA Johnny Petraglia Pattern 36 Feet with great success. 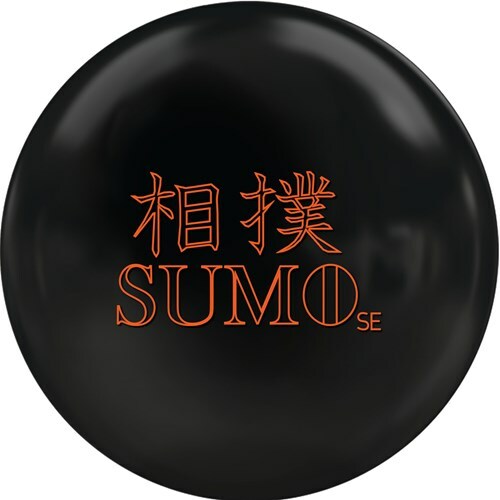 If you need ball that’s gives you a great look on multiple patterns, put the Sumo in your bag today!